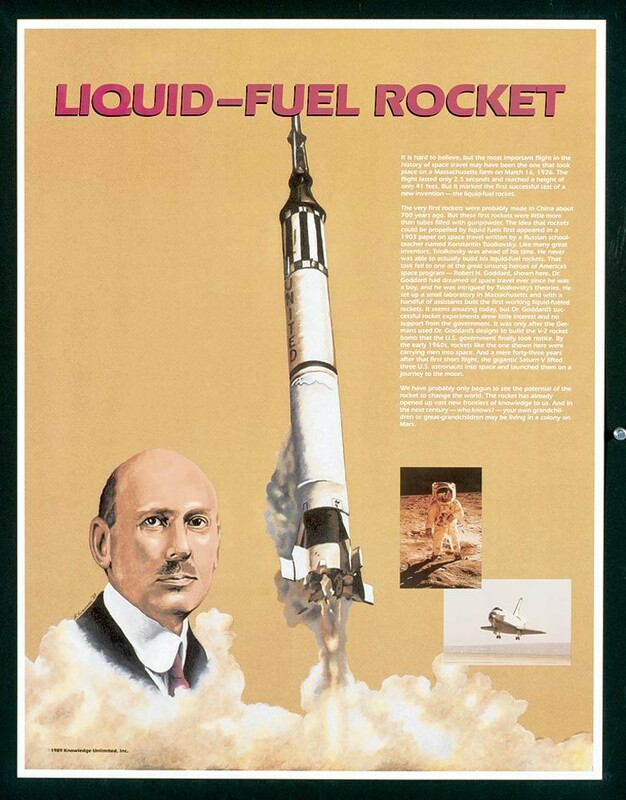 This poster features the liquid-fuel rocket. It is a part of a twelve-poster series that demonstrates how science has a profound impact on the world and the evolution of our society and civilization. 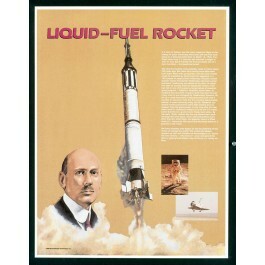 The poster contains artwork showing a rocket and Dr. Robert H. Goddard, who along with a small group of assistants, built the first working liquid-fuel rockets. The text explains the history of the development of this invention and its impact on our world.